One of the biggest names from the EDM industry has just dropped a huge, huge announcement on his official Facebook! 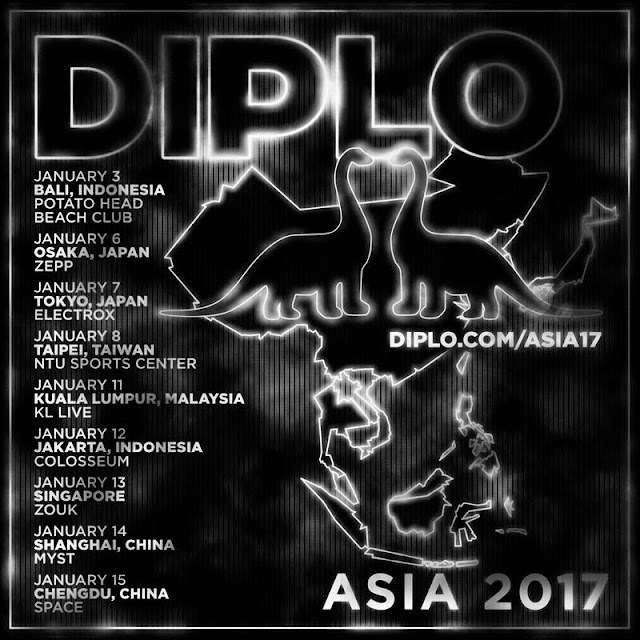 Thomas Wesley Pentz, or better known as his stage name, Diplo, is kicking off his upcoming Asia tour early next year, and Malaysia is included! Starting off with Indonesia, the 38-year-old will be visiting six countries all around Asia including Japan, Taiwan, Malaysia, Singapore and China. 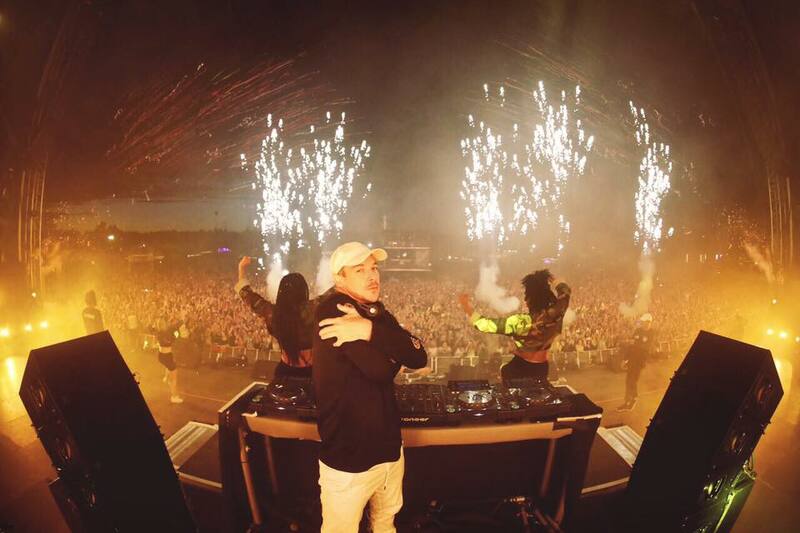 Apart from being a solo artiste, Diplo is also the lead member of music project Major Lazer and is part of the electronic duo Jack Ü along with Skrillex. He has collaborated with various famous pop artistes like Justin Bieber, Gwen Stefani, Britney Spears, Beyoncé, Madonna, Shakira, Usher and more! Some of his famous works include “Where Are Ü Now” with Skrillex featuring Justin Bieber, “Lean On” under Major Lazer, “Take Ü There” under Jack Ü featuring Kiesza, and others. This wouldn’t be the DJ’s first time in Malaysia; previously he visited the country as part of his Asia tour in 2011. 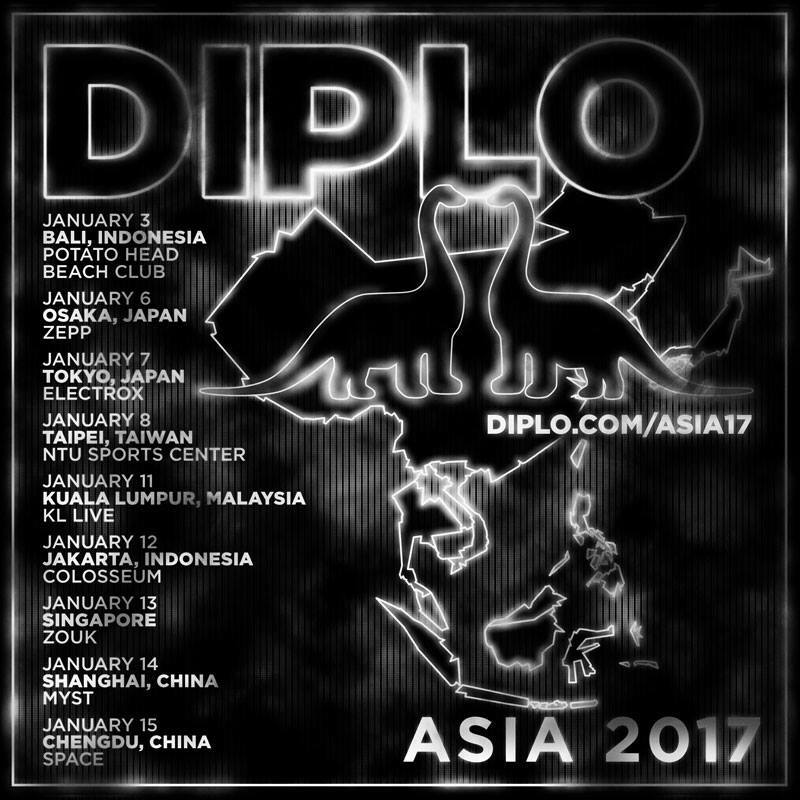 Diplo will be arriving in Malaysia on 11 January 2017 at KL Live. Ticketing details will be announced soon!